Apple certainly took its sweet time with this one. 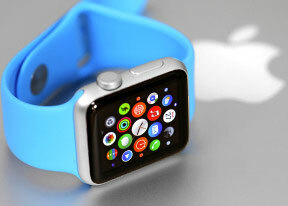 After years of rumors Apple Watch finally showed its face on September 9 last year and started to reveal its secrets. And it wasn't until the end of April that actual sales begun and with long waiting times at that. Now we set off to find if it was all worth it. On paper the Apple Watch polarized opinions. This has always been the way with new Apple products - many love them, others hate them. More often than not however there was enough in the first camp to turn them into raging success. We've been hearing about an Apple watch for so long that it's feels rather strange that we are only now seeing the first-gen device. When the first rumors surfaced the smart wearable niche was a barren one - now it's brimming with life with Android Wear coming in a dozen flavors and Samsung offering its own Tizen alternative. Had it came earlier, the Watch would have certainly had easier competition and more importantly it would have been able to set the rules of the game, rather than being forced to play by those set by others. Yet Apple is known for not rushing products and this was no exception - the clear message being that the Watch is so polished that it has nothing to fear. Criticism for the Apple Watch ranges from use of a rectangular screen through the extensive relying on physical controls to the smallish size if both available available 38mm and the 42mm varieties. The jury is still out on what the proper smartwatch display form factor should be so experiments in this area are more than welcome. The Apple Watch bets on the signature iPhone 6 design and relies on extensive exterior customization options to win users on its side. You can have it with in aluminum with Ion-X glass or in stainless steel with sapphire screen protection, both available in Silver and Gray paintjobs, but you may also like the limited Watch Edition made out of gold and ceramic alloy. There are six different bands, most of them available in a variety of colors, too. Throw in the plethora of available watch faces you can make and you can have an Apple Watch that's really yours, one that really stands out. The first major concern about the Apple Watch is its battery life. With Apple itself only promising 18 hours without the screen being always on, many were wondering if it will be able to last you through a day of heavier usage. Best case scenario it will be another gadget you need to charge everyday. Given the rather thick frame and the price tag we certainly expected better, but perhaps Apple undersold the Watch endurance - we'll certainly be paying close attention to how it fares in real life. The screen that remains off for the majority of time is another thing we'll be testing thoroughly - how much of a nuisance it is and how accurate the wrist turn gesture is recognized. Naturally we'll also have to see if the new operating system developed from scratch is as intuitive and cool as it's hyped up to be. And the Watch App store, while still in its infancy, will need to convince us that it's worthy of a device that can run well into four-digit pricing (that not even considering the Watch edition). That's a lot of ground to be covered so let's waste no more time - we begin with the unboxing and hardware examination after the break.